As your parents age, obtaining power of attorney is important, but can be a difficult subject to broach. Learn more here about how to navigate the process. If you love your parents, you know you'd do anything to make sure they have a quality of life. As they get older, they may naturally need more assistance in their daily lives. This could include aged care and sometimes it can also mean having someone who can manage their finances for them. But that is not the case for all parents. According to statistics, only around 51% of Canadians have a Will and other estate planning documents, with the younger the age of the person, the less likely they are to have a Will. If you want the best for your loved ones, you need to consider how you will go about obtaining power of attorney for your parents. It's a process that requires a lot of care and thought, so read on to find out the best way to go about it. Also known as a POA or a power of attorney agent, a power of attorney is someone who manages the livelihood and finances of another person when they are unable to do so themselves. This may include looking after their finances, dealing with the Canada Revenue Agency, Banks, Land Titles, Insurance Companies, Investments Companies and all other legal matters that do not involve medical or personal life choices. There are specific guidelines that must be followed by the agent when it comes to the principal they are looking after. Why Would Your Parents Need One? One of the most common reasons for using a power of attorney is when one or both of your parents have a condition which makes them mentally unfit to care for their own finances. This includes conditions such as dementia or Alzheimer's. According to statistics, one in eight people over the age of 65 has Alzheimer's disease and nearly 50% of people over the age of 85 have it. By obtaining power of attorney, a trusted family member or friend can make certain business and financial decisions on their behalf. This allows them to get the care they need and to ensure their assets are looked after properly. It is vital to note that your parents cannot consent to have a power of attorney if they already have dementia or Alzheimer's. This is because they aren't considered sound of mind enough to make that choice on their own. Therefore, you need to ensure you have a legally binding power of attorney in place should the worst happen in the future. How do You Go About Obtaining Power of Attorney? There are a number of steps you must take in order to obtain power of attorney. As it involves a topic that can be tricky for some to discuss with their parents, it's important to do this slowly but as soon as possible. Continue reading to learn these steps. Before you can do anything, you need to ensure there is clear and open communication between you and your parents. Talk to them about what could happen in the future and how you want to ensure they have peace of mind. Don't forget to explain to them what a POA is to them and why they need it. As well as this, make sure you have their permission before obtaining Power of Attorney for them. Also, ensure they are sound of mind enough to grant that permission too. You also need to choose someone to be your parents' agent. This is the person who will hold power of attorney over them. Thus, it has to be someone you can trust. Essentially, this should be their spouse and then you. You should also think about an alternate agent in case the primary agent is unable or unwilling to act as an agent for your parents. But if you, for whatever reason, are unable to act as their agent, consider someone else who would make a suitable candidate. Think about how close the potential candidate is to your parents. It has to be someone who knows them well and can make decisions on their behalf that would align with their wishes, including cultural and religious beliefs. For example, they need to know for certain whether they would be happy to be resuscitated or not in an emergency situation. Geographic proximity is also important too. If you live on the other side of the world from your parents, you want someone close by who can look out for the needs and desires of your parents in an emergency. You also want a candidate who is in good health. After all, an agent who has power of attorney should be able to carry out decisions on your parents' behalf without having health issues to deal with as well. There are different reasons for obtaining power of attorney. Therefore, it makes sense that there are different types of power of attorney too. You need to decide which one is the best for your parents and the condition they are in. A springing power of attorney does not go into effect until a certain qualification is met. It is typically granted once the principal is incapacitated and a doctor signs a medical directive stating that the person no longer has the mental capacity to make their own day to day business and financial decisions. In comparison, an immediate power of attorney goes into effect immediately and continues to be valid afterward. If for some reason you cannot properly obtain power of attorney, you can still attempt to get legal guardianship over your parents. This is especially useful if one or both of your parents are already incapacitated. The authority held by a guardian is similar to that held by someone who has gone through the process of obtaining power of attorney. They are still accountable to the court and they must also provide regular transaction reports. In order to become a guardian, the principal must be deemed to be legally incompetent. Thus, your parents must be unable to meet their own needs. Once you file for guardianship, in Alberta called a Dependent Adult Application, the court will have a hearing. The proposed guardian must establish the incompetence of the principal and that no other alternatives are available. Once this is ascertained, the legal guardianship is granted. This is a very formal and expensive process, often costing somewhere between $5000.00-$10,000.00. 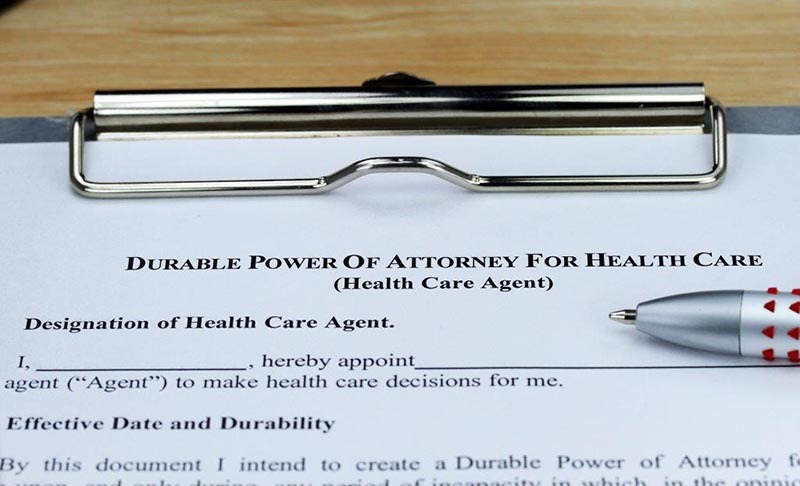 The Power of Attorney is a very powerful document. Therefore, each province is different when it comes to requirements of obtaining power of attorney. Some of them have special forms that you need to fill out. If you're in a complicated situation and you're not exactly sure what to do, you can hire an attorney. This attorney can assist you and your parents in going through the proper requirements for granting power of attorney. A hired attorney can prepare the document and they may notice any legal issues that you could have missed. Any specific details are helpful as well. For example, instead of just saying that the agent has power over the principal's finances, say that the agent has the power to withdraw money from the principal's bank accounts and make payments for them. Once drafted, you need to ensure you have multiple copies of the POA. Rather than just giving out the originals when it comes into effect, make sure the document is notarized as a true copy. Most financial institutions will happily accept a Notarized True Copy allowing you to retain the originals for Alberta Land Tiles, that now accept Notarized copies and the Canada Revenue Agency. If you want what is best for your parents, you need to ensure you are obtaining power of attorney over them in case the worst was to happen. In order to do this, you need to take careful steps legally. To help you, you need a professional attorney who can provide you with assistance in this matter. For more information or to get in contact with us, click here. This entry was posted in obtaining power of attorney by verhaeghelaw. Bookmark the permalink.